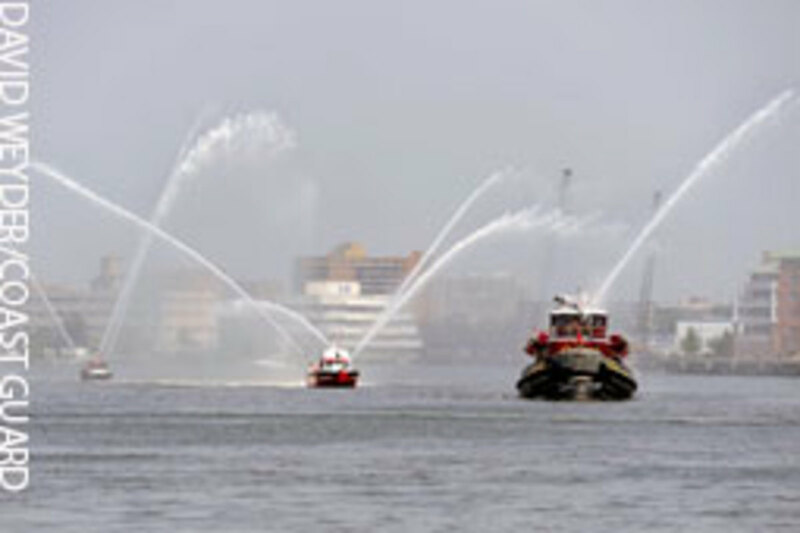 Fireboats enter Virginia&apos;s Norfolk Harbor June 10 during the annual Harborfest Parade of Sail down the Elizabeth River. The celebration featured a variety of vessels, including tall ships, Coast Guard cutters and the USS Normandy. The Atlantic basin is expected to see above-normal activity for this year’s six-month hurricane season, which ends Nov. 30, according to NOAA’s Climate Prediction Center. NOAA has forecast 12 to 18 named storms (winds of 39 mph or higher), of which six to 10 could become hurricanes, including three to six major hurricanes (Category 3, 4 or 5). Each range has a 70 percent likelihood, which indicates activity that exceeds the seasonal average of 11 named storms, six hurricanes and two major hurricanes. NOAA’s forecast does not include landfall predictions. NOAA meteorologists say sea surface temperatures where storms often develop and move across the Atlantic are as much as 2 degrees warmer than average. 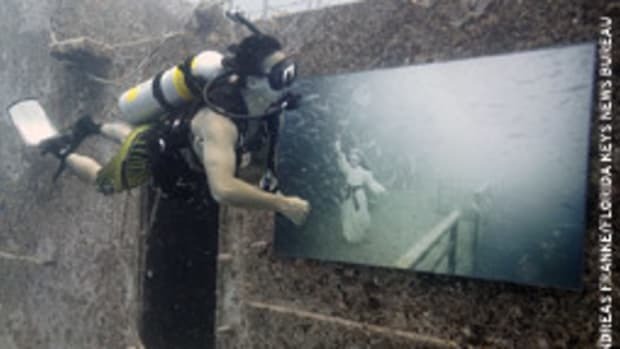 “In addition to multiple climate factors, seasonal climate models also indicate an above-normal season is likely and even suggest we could see activity comparable to some of the active seasons since 1995,” says Gerry Bell, a hurricane forecaster at NOAA’s Climate Prediction Center. 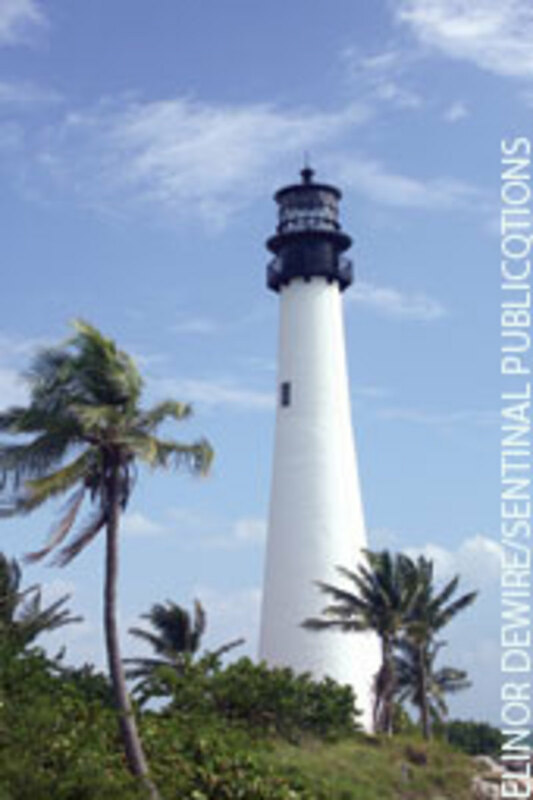 The 95-foot brick tower on Key Biscayne, six miles off Miami, was built in 1856, with 119 iron spiral steps to the top. 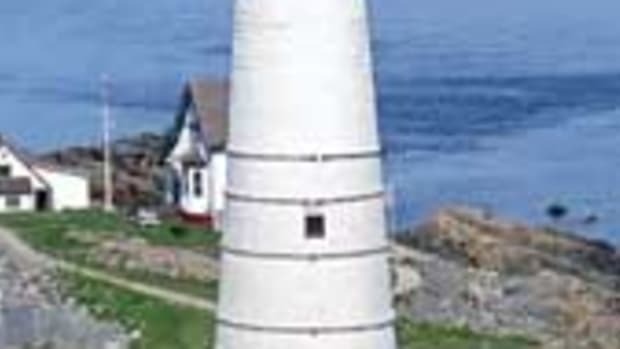 The light was deactivated in 1978. 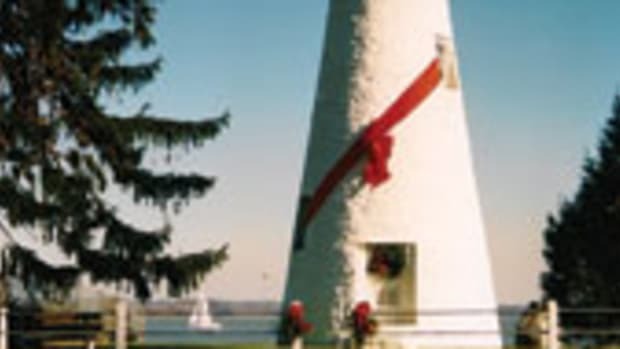 The first beacon on the island was built in 1825 and destroyed in an attack by Seminole Indians in 1836. A former Wisconsin dealer who spent years on the run in Brazil was sentenced in June to five years in prison in connection with fraud schemes, according to the U.S. Attorney’s Office. Leonard Kolschowsky, 68, who had pleaded guilty to charges this spring, acknowledged that he was responsible for nearly $1 million in losses related to false loan applications and other fraudulent conduct, according to the Justice Department. 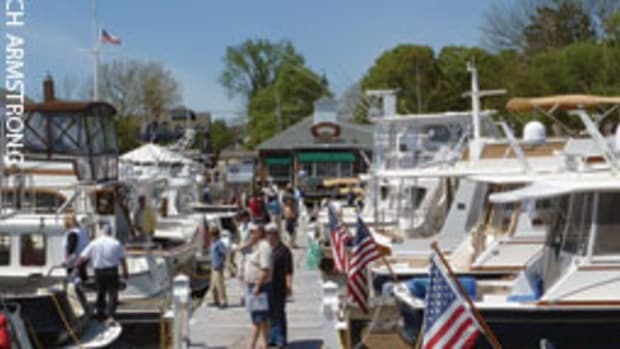 Beginning in 2000, Kolschowsky, then an owner of the Boat Depot in Minong, Wis., executed schemes to defraud financial backers of the Boat Depot, defrauded others through a series of false loan applications for boats allegedly sold, and concocted a bankruptcy scheme to conceal property rightfully belonging to the creditors of the business. In 2003, he began to negotiate a plea but fled the country to avoid prosecution. He was found in Brazil and was arrested in January 2008. He spent two years in prison there trying to avoid extradition. Aluminum-boat builder SeaArk Marine recently delivered a 36-foot patrol boat to the Maryland Department of Natural Resources Police. The vessel, named Mattawoman, will be used to patrol Chesapeake Bay, the Potomac River and surrounding estuaries within the jurisdiction of the Maryland DNR. The Dauntless Class boat is based on a hull designed by C. Raymond Hunt Associates, and it is constructed of all-welded marine-grade aluminum. The deep-vee variable deadrise hull produces a smooth, dry and stable ride. The first Leadership 44 was christened and launched June 2 at the Coast Guard Academy in New London, Conn. Shearwater is hull No. 1 of eight L44s that Trenton, Maine-based Morris Yachts is building to replace the four 46-year-old Luders 44 yawls in the academy’s Coastal Sail Training Program. 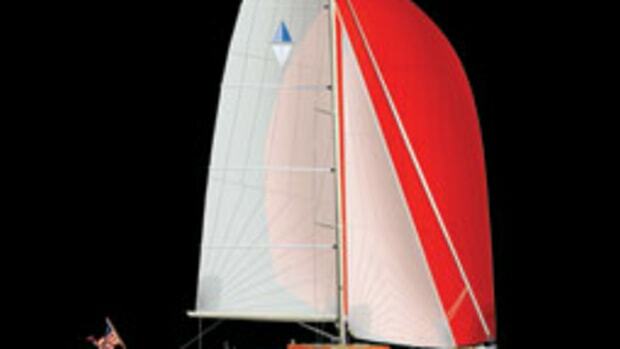 David Pedrick designed the new sailboat. Cadets participate in 12-day leadership programs aboard the 44-foot boats, sailing the open waters of coastal New England. 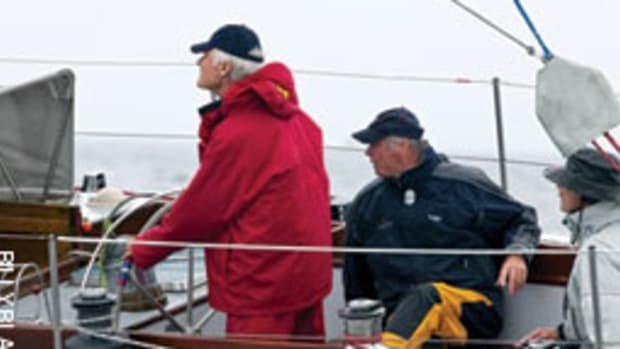 They rotate through watch captain, navigator, cook, helmsman and deckhand positions as they develop skills in sailing, navigation and seamanship, and small-boat operations. As many as eight cadets and a safety officer participate in the training missions and offshore passages. Hull No. 1 was sponsored by the Class of 1953, and several members were on hand for the ceremony. Hull Nos. 2 and 3 are under construction. West Marine opened its first flagship store in Massachusetts this spring and announced plans to open the largest store in the company’s history later this year in Fort Lauderdale, Fla. The 23,000-square-foot store in Woburn, Mass., is a former Office Depot, and the conversion took about five weeks, store manager Barbara Miele says. The location also is a hub for Port Supply, West Marine’s wholesale division. The retailer announced plans in June to build a 50,000-square-foot store — twice as big as the company’s current largest store — in Fort Lauderdale later this year. The centerpiece will be a megayacht flybridge displaying marine electronics and audio systems. Biologists with the Florida Fish and Wildlife Conservation Commission&apos;s Fish and Wildlife Research Institute are requesting angler assistance with a project focusing on red snapper caught in Florida waters. The project will provide fisheries researchers and managers with vital catch-and-release survival information for assessing the status of the recreational fishery. 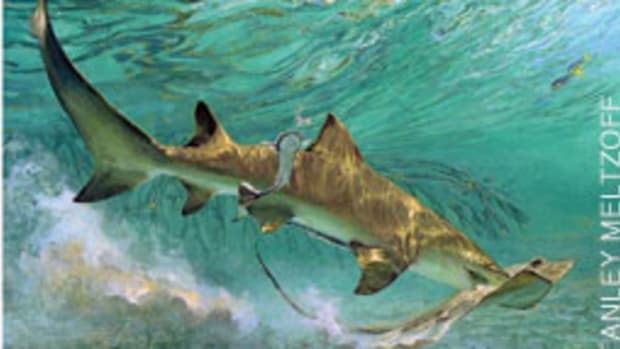 Biologists at the institute will approach anglers at public areas along Florida&apos;s Gulf Coast, including ramps, fishing piers and marinas, to request participation in the study. The biologists will distribute survey cards designed to collect detailed information about fishing trips targeting red snapper, including where the fish are caught and released, the type of fishing equipment used and the condition of the fish when released. In addition to completing survey cards anlgers, captains and mates can assist reef fish research by reporting tagged fish to the Angler Tag Return Hotline at (800) 367-4461. 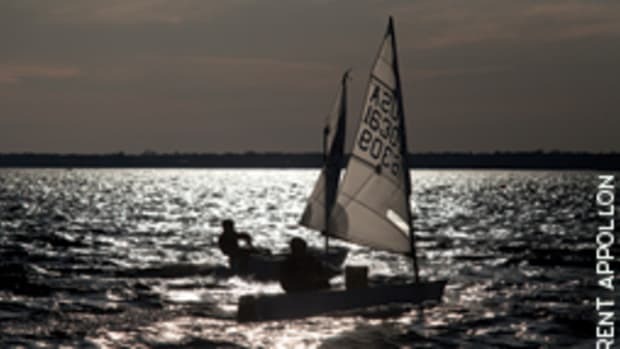 The Stonington Harbor Yacht Club in southeastern Connecticut launched six Ideal 18s in June and plans to use the sailboats for member programs and racing, community learn-to-sail programs and Special Olympics activities. “This allows us to fund a program that is good for both members of the club as well as the community at large and the Special Olympics,” says Charlie Hatton, commodore of the yacht club. 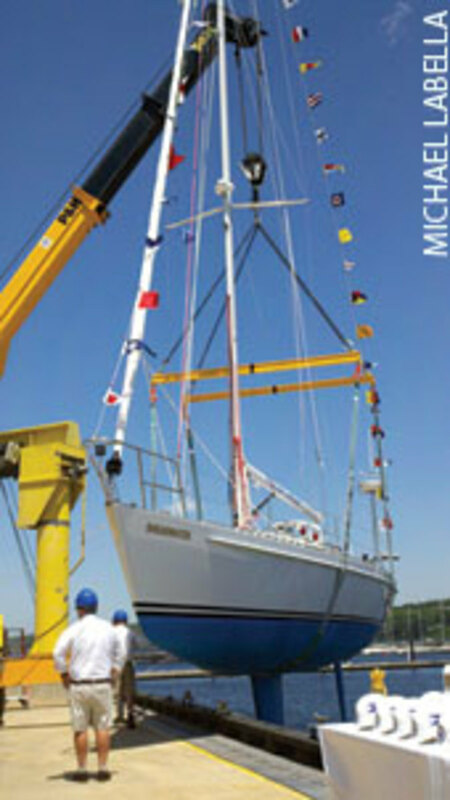 The Ideal 18 is an 18-foot keel sloop that carries 168 square feet of sail, with roller furling and a self-tending jib. It displaces 1,200 pounds with a 700-pound keel. The yacht club will make the boats available to members for recreational sailing and racing programs, including match racing and frostbiting. Seventy members signed up to use the boats on the day the program was announced. Dodson Boatyard will provide six moorings for the season with free launch service.